Wash Brussels sprouts under cool water. 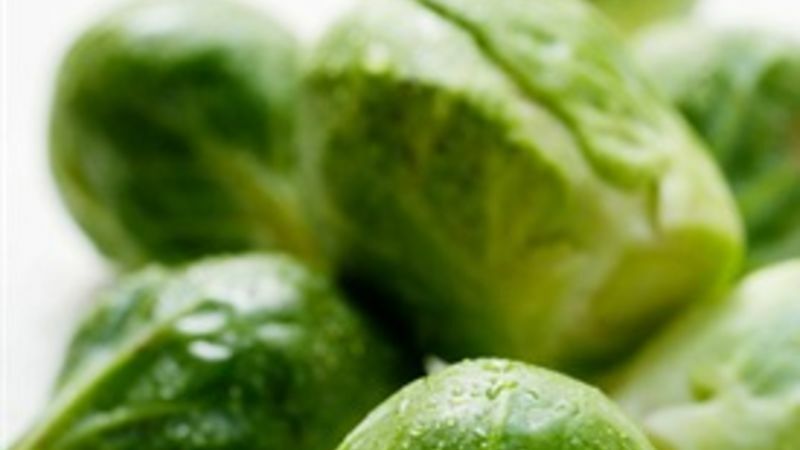 Cut an X into the bottom of each sprout, or cut them into halves if they are quite big. The leaves cook more quickly than the core so this step gets them to cook more evenly. Either boil or steam them for 7-10 minutes. Take them off the heat and drain them before they lose their bright green color. Once they start to turn grey/green, they're overcooked. Serve immediately with your choice of seasonings. Some options: butter, salt and pepper, garlic salt, bacon bits, etc.